RUSH: Austin, Texas. Andrew, great to have you, sir. Welcome to the EIB Network. CALLER: Hey, Rush. 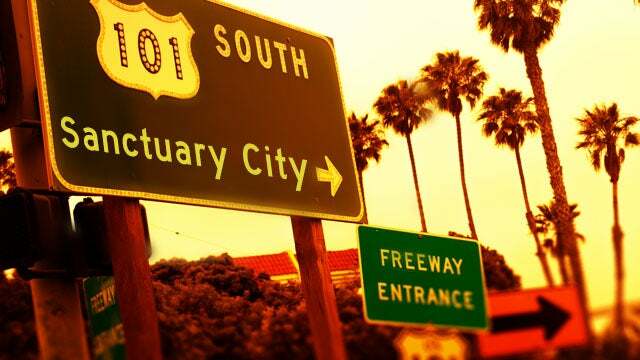 You talked yesterday about Democrats not ready and willing to accept illegals into sanctuary cities. CALLER: Their reaction exposes a truth that I think most of us know, that their compassion for illegals is faked. If it was real, they would embrace this proposed policy, right? Now, if you combine their fake compassion with the fact that they view illegals as a future Democrat voting bloc, it shows that their stance on illegal immigration is just a strategy to turn Texas and other southern states blue. They want illegals flooding into the country, but only if they stay put in border states rather than moving forth north to states that are already blue. RUSH: Now, I like this way of thinking. This is tremendous, critical, independent thinking on your part. RUSH: — and they’re taking their political corruption with them. CALLER: Yep. Yeah. I mean, if you combine that future voting power of illegals plus that influx… I’m in Austin, and there’s a big tech boom happening right now. RUSH: It’s been going on a long time. Austin, we’ve almost lost it. CALLER: Every other person I meet is from California or New York. RUSH: Right, and they’re in tech. CALLER: Right. I mean, you look at the Cruz election, he only won by, what, 2.6%? And in the previous election he won by nine points. CALLER: It’s just moving closer and closer to Democrats. RUSH: It is. And if you look at the southern border of Texas that is on the border with Mexico, it’s scary. All those counties are different shades of blue right now. Not red. That is scary. I think it’s a good thought. You can also say that this may be a reverse strategery on the part of Trump and the Republicans and so forth. If we’re gonna have these people here and if we’re not gonna be able to deport ’em, let’s go ahead and take ’em where they already are the majority. But I think Trump’s doing much more than that. I think Trump is actually attempting to focus everybody’s attention on immigration policy and immigration law. I think this is a brilliant stratagem to flood sanctuary cities with these immigrants and have these people — for whatever reason — to have ’em to say, “No,” have ’em reject it — is a great political objective here. But your point about this is relevant. I’m glad you called. Thanks very much. Speaking of, he mentioned Beto O’Rourke, and I’ve got to get some of these Bernie Sanders sound bites, which we’ll do after the next break. But there is some news from Beto: “2020 Hopeful Beto O’Rourke Has Released 10 Years of Tax Returns.” His wife had him release their tax returns. They gave very little to charity, and I think Beto underpaid in two years of his taxes.